As you read the words stretched across this page, your brain is doing something magnificent. Each sentence lingers in your mind for a fleeting moment, the letters melding into a symphony of neural signals. These intricate electrical rhythms form the language of the brain, a language we have only begun to understand within the last century. 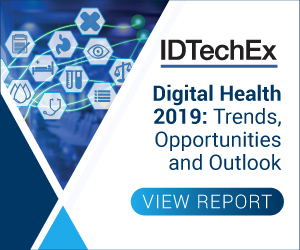 For more information see the IDTechEx report on Bioelectronic Medicine 2019-2029. Rob Reinhart, an assistant professor of psychological and brain sciences at Boston University, says we've reached a point where we not only understand this language—we can speak it and harness it to enhance the functioning of the mind. In a groundbreaking study published April 2019 in Nature Neuroscience, Reinhart and BU doctoral researcher John Nguyen demonstrate that electrostimulation can improve the working memory of people in their 70s so that their performance on memory tasks is indistinguishable from that of 20-year-olds. Reinhart and Nguyen's research targets working memory—the part of the mind where consciousness lives, the part that is active whenever we make decisions, reason, recall our grocery lists, and (hopefully) remember where we left our keys. Working memory starts to decline in our late 20s and early 30s, Reinhart explains, as certain areas of the brain gradually become disconnected and uncoordinated. By the time we reach our 60s and 70s, these neural circuits have deteriorated enough that many of us experience noticeable cognitive difficulties, even in the absence of dementias like Alzheimer's disease. Just as a musical orchestra contains flutes, oboes, violins—so too, the gamma rhythms that reside within your brain each contribute something unique to the electricity-based orchestra that creates your memories. One gamma rhythm might process the color of an object you're holding in your mind, for instance, while another captures its shape, another its orientation, and another its sound. On one end of the spectrum, someone with an incredible memory may be excellent at both synchronizing and coupling, whereas somebody with Alzheimer's disease would probably struggle significantly with both. Others lie between these two extremes—for instance, you might be a weak coupler but a strong synchronizer, or vice versa. And when we use this stimulation to alter neural symphonies, we aren't just making a minor tweak, Reinhart emphasizes. "It's behaviorally relevant. Now, people are performing tasks differently, they're remembering things better, they're perceiving better, they're learning faster. It is really extraordinary." Reinhart would like to investigate electrostimulation's effects on individual brain cells by applying it to animal models, and he's curious about how repeated doses of stimulation might further enhance brain circuits in humans. Most of all, though, he hopes his discovery will one day lead to a treatment for the millions of people around the world living with cognitive impairments—particularly those with Alzheimer's disease. He loves his line of work as a neuroscientist—especially when it leads to breakthroughs like this one. "It's wild," he adds, a smile in his voice. "It's wild to think that we can target the electricity of a brain circuit the same way we would target a neurotransmitter chemical in the brain."